Love a bit of Corduroy? I know I do, so good to hear of a new album coming our way soon. It’s called Return Of The Fabric Four. The album is out on 25th May 2018, the first new recordings by the band in 18 years and by all accounts, very much sticking the tried and tested formula of the past, with the usual heavy influence of the swinging sixties, a touch of jazz and a 60s pop vibe. If you want a taster, check out the video for the track Magic Mountain below. The new album features 12 tracks and will be available on either CD or vinyl, both of which are available to pre-order now. The vinyl is listed at £19.97 and the CD at £13.27. 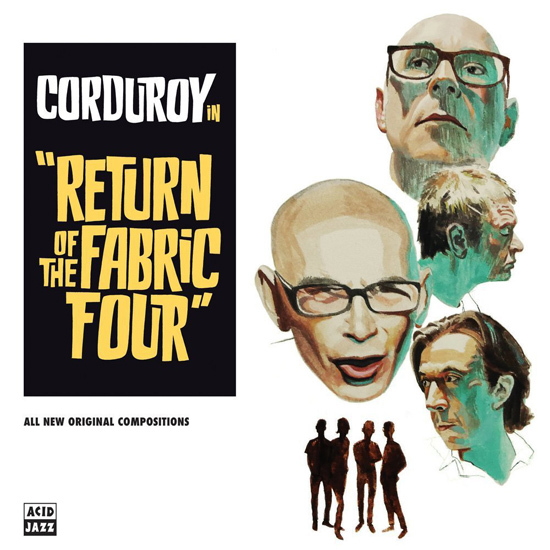 Note also that the Corduroy back catalogue is now on both Spotify and iTunes if you want the older albums. Alternatively, older CD issues are still available on Amazon for varying prices.